For their last concert in these parts until, I'm told, November of this year, Australian new music ensemble Elision focussed entirely on solo works by Brian Ferneyhough, a composer whose recent ubiquity - I'm thinking of the Barbican's Total Immersion, the symposium at the IMR, the Arditti's performance of his sixth quartet, even of the composer's unexpected appearance on Radio 4’s Today - has provided welcome opportunity to attempt to come to grips in a sustained way with his music's eldritch craft. It's not just his music, though. The nexus of meaning in which Ferneyhough's music sits is formed as much by his words as his sounds. The aesthetics of complexity that runs through the music likewise shapes the words, words which are less about unpacking or adumbrating meaning in the way of conventional programme notes than they are about occasioning further enrichment - or estrangement - in their audience. Ferneyhough's descriptions serve as something like 'inaudible music' (to paraphrase both Ferneyhough and Duchamp), music that in its jargonistic, delirious dream-philosophic flavour adds yet more perplexity to an already perplex (or, as Ferneyhough would say, 'multiplex') array of sounds. This is not to gainsay the power of both the words and the music. In an engaging, occasionally transporting programme this evening, the ever-provocative Elision underlined that power in rip-roaring, body-sapping performances. Graeme Jennings opened the concert with an immediate and vivid reading of the rather seductive Intermedia alla ciaccona (1986). That Jennings seemed once or twice to be about to combust in the welter of the material, pausing almost imperceptibly before launching himself again on the music, only served to underscore the intensity and the penetration of his playing. This is a comparatively accessible, formally telescoped piece, though its wicked flurries of noise work to conceal this fact at almost every turn. The intensity of Intermedia was repeated later in violinist Jennings' performance of Unsichtbare Farben (1997-99), though I felt this piece a little less inspired, a little more wilful, than the earlier one. Carl Rosman followed this up with a veritable Ferneyhough masterclass. Rosman contrasted examples of the abandoned early fragments of Time and Motion Study 1, for Bb clarinet, with the definitive, published bass clarinet version of the piece (1971-77), showing both through verbal explanation and musical illustration how Ferneyhough simplified, elaborated, and obscured the earlier material, composing it into a enriched tapestry that replaced the superficialities of extended performing technique of the fragment with hard-edged, sonic and organisational mystery. Rosman's presentation worked wonderfully, showing the music of the main performance in more light whilst also necessarily pushing it further away, underlining its insuperable weirdness, a weirdness that persisted even despite the vibrancy of Rosman's performance. The presentation was also excellently comic: one couldn't help but find the sudden switches of register between chatty host and concentrated Ferneyhough technician to be absurd. 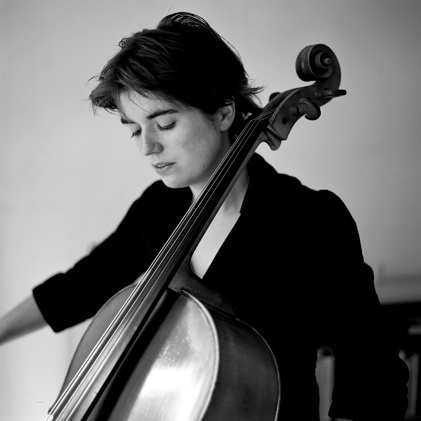 This was an absurdity that played out on a grand canvass in Séverine Ballon's astonishing performance of the none-more-complex Time and Motion Study 2 (1973-76), for cello, delay pedals, and amplification (Newton Armstrong did an excellent job marshalling the latter two elements). As Ballon unwound thrillingly under the spotlight, surrounded by the five channel array, I couldn't help but feel dumbly detached from my thoughts. Just when I remembered the piece was about to end, with those churning bass notes marking out the siphoning of the work's memory to a inscrutability-point of expiration, I re-entered conceptual space, finding myself regretting the concert's passing as well as feeling energised by its content. I have written before that the hypertrophy of Ferneyhough's music more often than not produces an effect of bemused dazzlement in me that is little different, qualitatively, from the reaction that I might have to other, ostensibly 'lower', less organised forms of art, like, for example, walking through a very loud arcade full of children. But, whilst this is instinctively true, it is also a little unfair, treating Ferneyhough's words and music more as mystification than as anything more substantial. But they are of more substance, and indeed repay time and effort with an aesthetic richness quite their own (I'm not denying the possibility of an aesthetics of arcades). This was the case again and again tonight; a sharp angle here or a quick turn there back to some splinter of resonance either with a moment from earlier in the work or from your own life (or indeed from the jargon-poetry of the programme notes) embed the experience in a narrative you can grab onto - though you push it from you at the same time, worrying at its misplaced ideology - whilst again and again you sensed, implicitly or otherwise, the dexterity with which these scores are made. These are not accidental sounds and nor is the conceptual underpinning, with its talk of architectural sub-strata and sieves of memory, empty obfuscation. Though obscure, connections can be made between what is said in the programme and what is heard on the stage. Elision should be commended for their mining of these connections, a mining that shines with integrity, vigour, and emotion.